CRYO SERVICES utilizes environmentally friendly dry ice to clean, decoat or depaint surfaces and substrates. Established in 1995, our fleet of self-contained trucks, coupled with skilled technicians, allows us to serve your on-site cleaning needs. 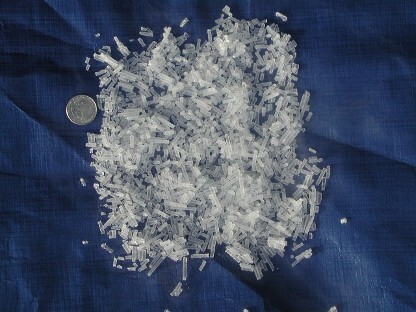 Special, extruded, dry ice pellets are accelerated through a blast nozzle and sublimate (turn from solid to a CO2 gas) upon impact with the surface being cleaned. The process is similar to sandblasting without the abrasive effect. The procedure is moisture free, non-abrasive, non-conductive, non-corrosive, non-flammable, worker friendly and most importantly, generates no additional residue to dispose of. 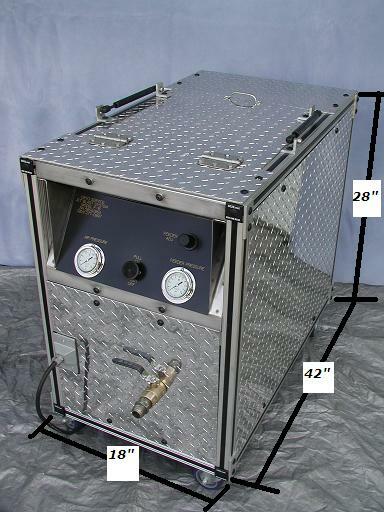 Fire, Water & Mold Restoration - removes smoke and mold from wood and steel surfaces. Printing - cleaning of printing press side frames, gripper bars, roll ends, anilox rolls, delivery units and ink pumps. Pulp & Paper - motor/generator windings, dryer cans, rolls and paper machine structures. Beginning in 2004, Cryo Services recognized that the market needed a dry ice blasting system that was totally reliable with maintenance parts pricing that is resonable. That is when we started manufacturing our Model F-16A. Our Model F-16A is easy to operate and maintenance friendly. Designed on the premise of Keeping It Simple, the F-16A is built with maximum uptime in mind. Wear part (air lock) replacement intervals are in excess of 1000 hours. Most replacement parts can be obtained from your local Grainger, McMaster-Carr or MSC outlet. We even put the cooresponding PN in our manuals. See why companys like Nissan, Kraft Foods, Post, Toyota, Serve-Pro, Servicemaster, GM, Soladigm, National Electric, GE, Screw Conveyor, Tenaris, Plymouth Tube and Paul Davis Restoration depend on our dry ice blasting systems.